The world is evolving at a faster rate than any of our ancestors could have imagined. If you could have told anyone living around 30 years back that the world is going to be like this in 2018 then for sure they would have thought of you as joking. However, it is now a reality that technologically we are developing at such a rate that it appears quite shocking and unbelievable at first. Like anything, technology also has its own boon and bane. Almost every sector is switching over to digital. So, why should Healthcare be behind? Specifically, the pathology labs all over the world are switching over to offering online services with the help of computing and the Internet technologies. SpeedsPath, Inc. specializes in providing such a system for pathology labs , Anatomic Pathology Lab Information System (AP-LIS) to help reduce their cost while maximizing the revenue. The SpeedsPath AP-LIS will help anatomic and molecular pathology labs to efficiently track and manage specimens and tests, quickly enter gross and microscopic examination results, generate reports of their clients and distribute results on paper as well as electronically. It also helps to manage the insurers, claims, and billing for fastest revenue recognition. A lab only needs access to the Internet and mostly existing equipment to get started because it is very easy to learn and easy to use by the lab technologists and pathologists alike. 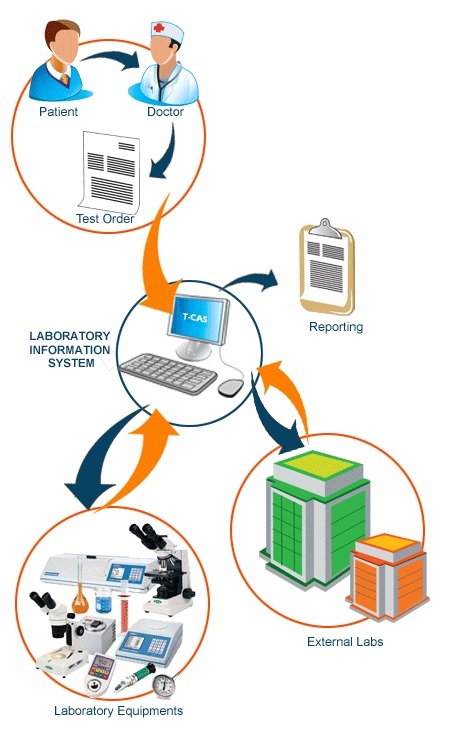 The lab system dramatically improves productivity and turn-around time from the moment a test order is received all the way to making the pathology results reporting and billing. With the advent and growing use of lab systems, day-to-day repetitive and mundane tasks are handled without mistakes and detailed recording of the lab metrics. Patient records are extremely precious to protect and the lab regulatory requirements require repeatability of processes. The AP-LIS makes it so easy that the pathologists are able to focus on on their expertise in examining specimens for disease instead of having to manage the technology infrastructure or risky paper records. The SpeedsPath Anatomic Pathology Laboratory Information System being web-based allows multiple branches of a lab to collaborate 24×7, from anywhere in the world flexibly. Electronic interfaces with a number of EMR, lab, billing and digital pathology systems improves the report turn-around time while speeding up the claim processing. Very easy to learn and use, designed by board-certified pathologists. Situated in the innovation capital of the Silicon Valley of the San Francisco Bay Area, SpeedsPath, Inc. is a field-tested high quality provider of cloud-based solutions for modern pathology labs around the world. SpeedsPath is best known for their scalable Anatomic and Molecular Pathology Laboratory Information Systems and support at very affordable monthly subscription rates. To allow us the opportunity to demonstrate how your pathology lab may benefit with our partnership, please contact us.